Sunday morning, and time for me, Chef Daddy, to make a pancake breakfast for the kiddos. With little ones, one of the challenges of pancakes is cutting them up in smaller pieces so the kids can eat them without making a mess. Truth be told I like them that way too. Here is a simple tip for quickly and easily cutting pancakes up into perfect pieces. Use your pizza cutter. The pizza cutter is safer & easier than using a knife and less messy than attempting tear them apart by hand. With its round blade, the pizza cutter is one of the most under-utilized kitchen tools, probably because its name implies what it is supposed to be used to cut. 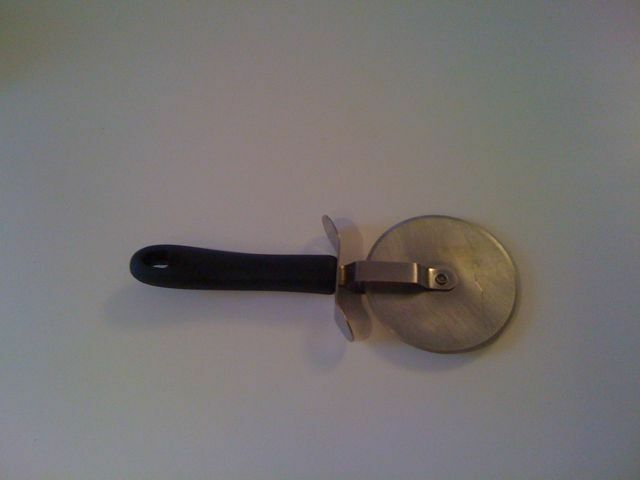 From slicing pizza and pancakes to trimming the crusts off of sandwiches and cutting up quesadillas, make meal time easier by reaching for the pizza cutter.